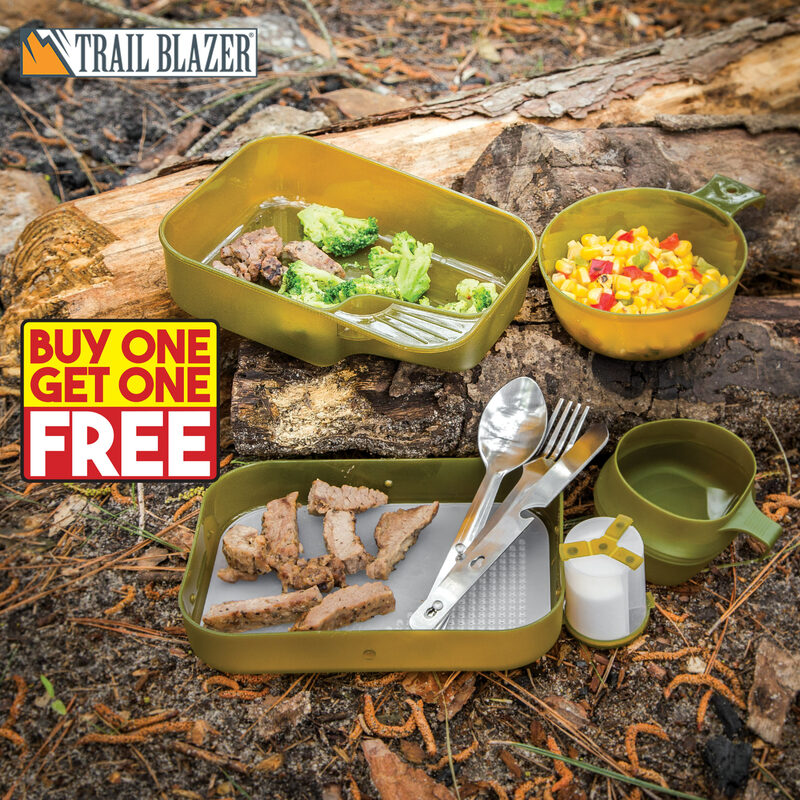 Take advantage of this camping equipment BOGO today! Feel like a soldier when you cook and eat with this military grade US Style Camper's Mess Kit. It's perfect for your next hiking, fishing, hunting, or camping trip. Comes neatly stored inside the flat oval-shaped kit and, now, we are giving you two for the price of one! What an awesome deal! Sooooo glad I got these!! Perfect size for prepping and eating!! Even enough room inside to put seasonings and other things to Cook a nice meal. Don't miss out and order. Easy to pack up and use. Blessings ????? ?